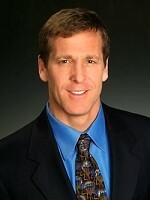 Home » Atlanta REIA Blog » News » Events » Workshops » Full Day REO Training Workshop with Andy Heller for Virtually FREE! Full Day REO Training Workshop with Andy Heller for Virtually FREE! Attend the most important workshop on getting RICH in today’s market, and thanks to Atlanta REIA it is pretty much FREE!!!! This full day workshop “costs” $10 for Atlanta REIA Gold Members and $20 for Silver… BUT it really costs virtually nothing because you get Andy Heller’s book Buy Even Lower was rated within the top 3 real estate books of the year, and it cost over $20 in bookstores today. All those who pre-register for this workshop get this book at the end of the workshop for FREE! So where should investors find and buy pieces of the American Economy as Warren Buffett recommends? Andy Heller is our guest workshop trainer and he’s the nation’s #1 expert on this topic! He’s going to share his secrets of buying Bank-Owned properties for just pennies on the dollar. Wondering about Andy’s credibility? Check this out… Andy’s entire investment strategy has been recommended by Fortune Magazine as one of the TOP 5 Wealth Building Strategies for Real Estate Investors. So you will not only learn how to find the deals, but how to rent your properties in days or weeks and sell WITHOUT DISCOUNTING. We were completely floored by the information Andy shared, and the utter simplicity of his investment strategy. Beginners will love it and seasoned investors will immediately appreciate the opportunity Andy’s strategy offers them today. 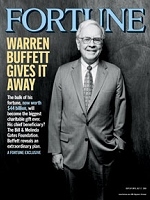 To learn why we were so excited, why Warren Buffett says to buy pieces of the American Economy, why Wall Street Journal says to buy Bank-Owned Foreclosures, how to take advantage of 40% of properties sold today being bank-owned, why Fortune Magazine recommends Andy’s “Buy Low, Rent Smart, Sell High” investment strategy, and why Andy’s students are earning and YOU TOO can earn 6 figure incomes today, just click to register now, and get your FREE copy of “Buy Even Lower”: Register for the Workshop Now! WHY ESPECIALLY TODAY AN INVESTOR CAN MAKE ENOURMOUS PROFITS BUYING BANK-OWNED FORECLOSURES!!! Hans van der Kolk. Hans bought a business with the money he made from Andy’s system, then returned to real estate investing four months ago and has already made $168,000 on three deals! Following Andy’s step-by-step system, Richard Lamberi bought 2 bank-owned foreclosures in his first 30 days and 7 in his first 8 months! Using Andy’s Buy Low system, Donald Kung (without using any of his own money or credit) wholesaled his first bank-owned property and made $15,000. John Adams was building a new home, and could not sell his primary residence in 10 months. In less than two months John and his family were looking at the frightening thought of having two mortgages to cover. Two weeks after implementing Andy’s Rent Smart program, he lease/purchased his home (that he could not sell in 10 months) at a positive cash flow. John has done two more lease/purchases since. LEARN what these students KNOW and you can enjoy the same results! Register for the event now!